Whether you’re royalty or not, these rooms are a beautiful inspiration and can be recreated to fit your budget. Below are some of our favourite designs with a range of styles to fit your home. 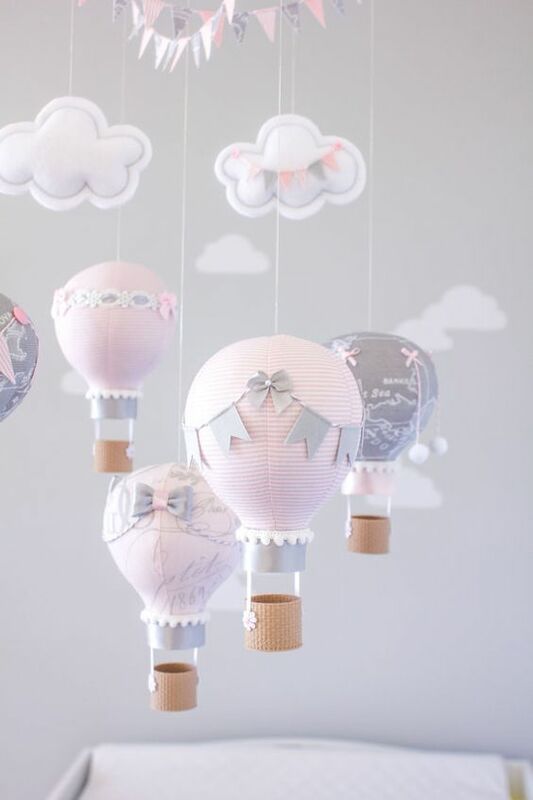 Incorporating a handcrafted mobile design to your nursery adds a lovely personal touch – especially when you have a say in this colours and design. 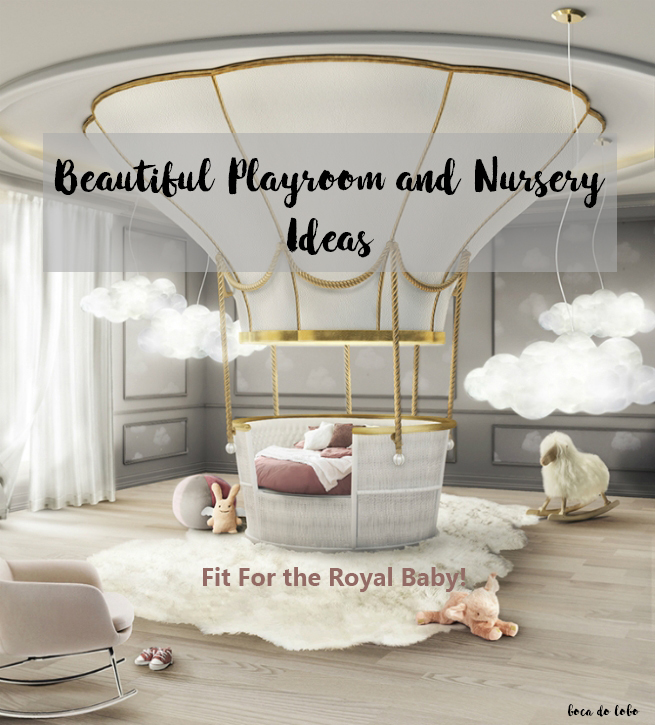 Playrooms are a great way for kids to explore their imaginations and live in fairytale-like-worlds. 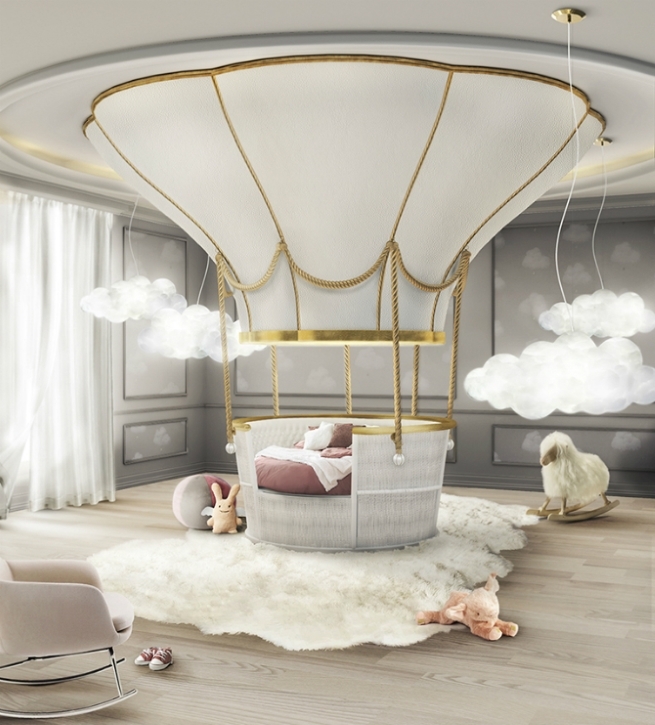 This fantastic design from Boca Do Lobo may is extravagant, however when put in situ of a children’s playroom is works perfectly. 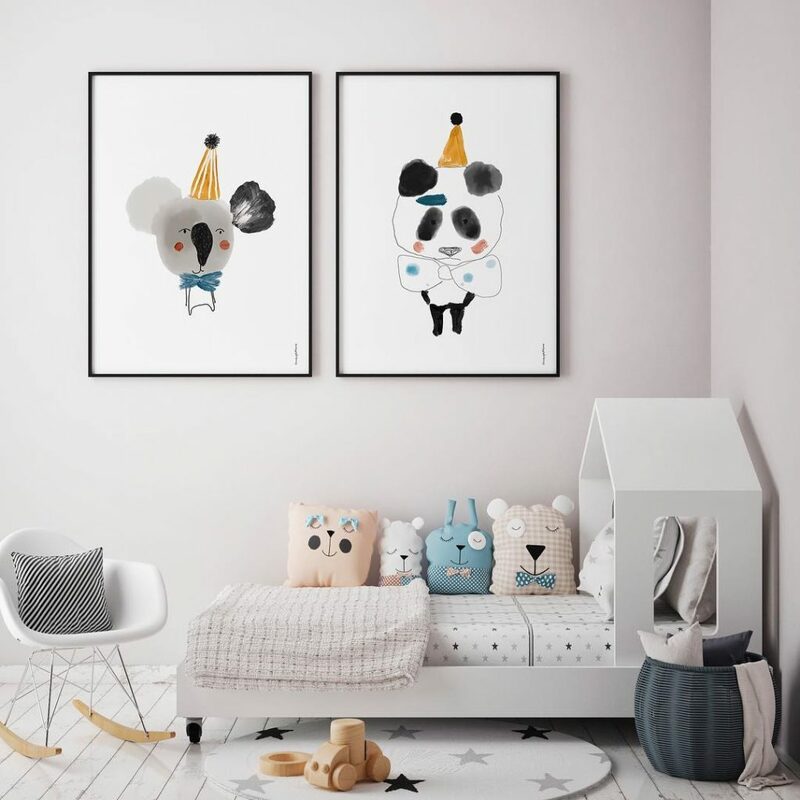 If you are aiming for something more minimalist, Amayadeeme create amazing hats with playful and illustrative characters. They work in a range of style whether you are opting for a monochromatic scheme or pastel colours. 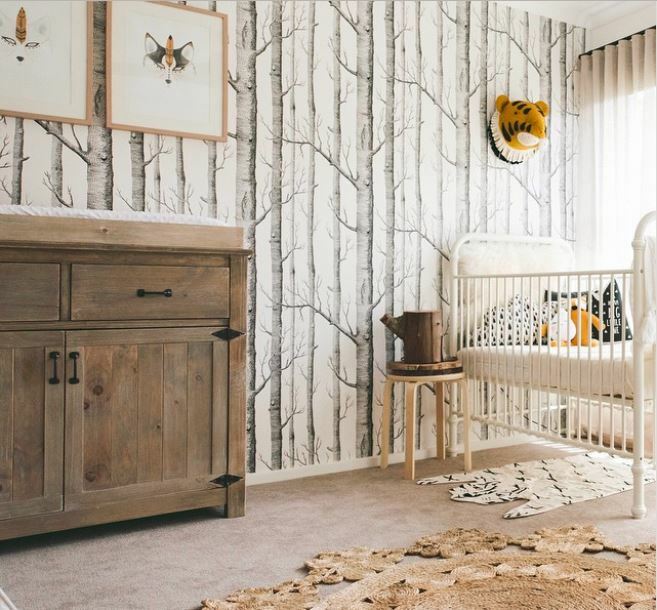 A way of keeping costs low is to choose a feature wall using beautiful paper / print that will work as a backdrop to a crib / cot. 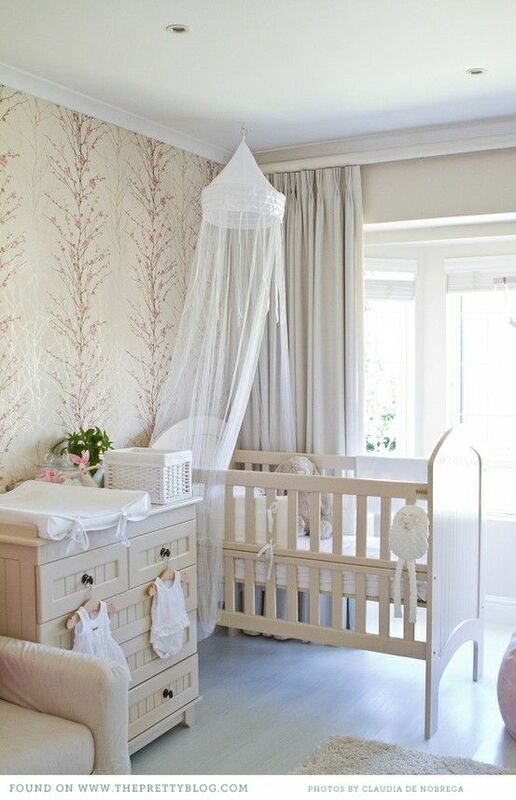 That way, you can keep accessories to a minimum and keep a neutral palette across the baby’s furniture. 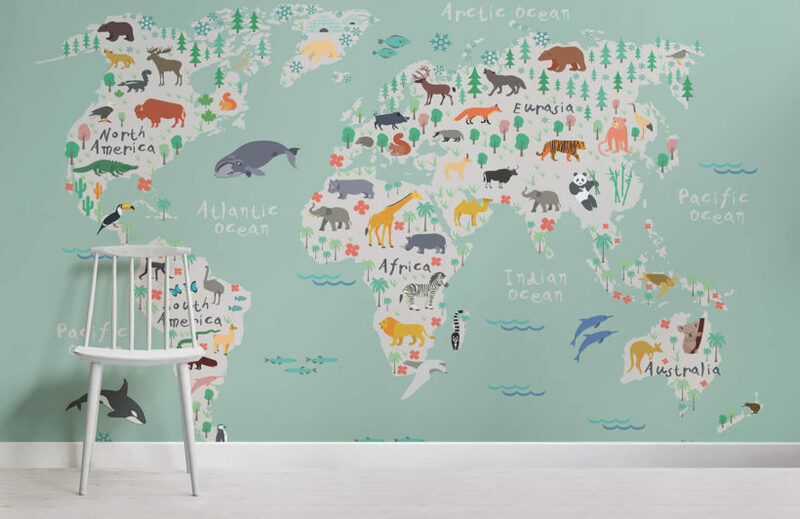 Choosing bright and colourful murals will spark your children’s imagination with the names of continents and seas. With such a bright and colourful wall, it allows the rest of the room to have a more minimalist and subtle design. We love the composition, accessories and fun toys throughout this design. The bed design is fantastic as it will last for years, only needing to change the bedding and accessories depending on the age of your children. Using colourful fabrics, you can cover the entire bed, then put a light projector inside and make a mini observatory style interior. 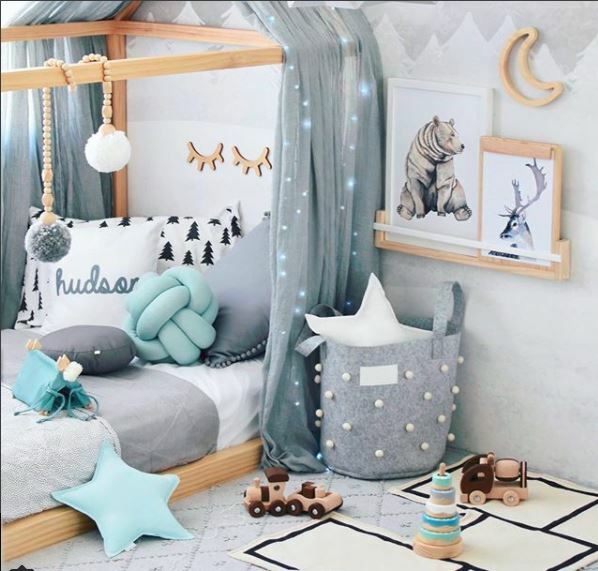 It is a great way to make a den and fun space to sleep.